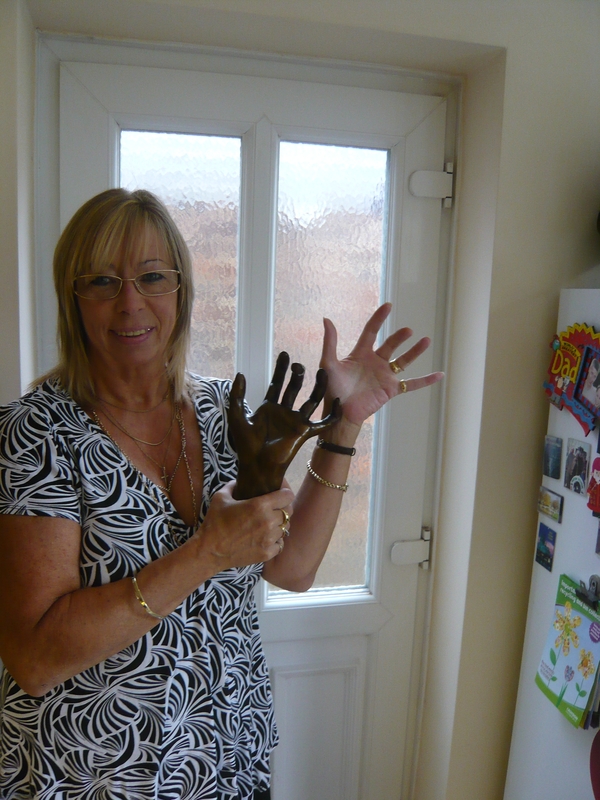 How excited was I making the journey back across London to collect my hand portrait sculpture! It had been several weeks since I went to approve the wax (see earlier post) – and now it’s ready…. Before I arrived the ceramic shell into which the molten bronze was poured had been broken away – to reveal the dull metal / bronzy looking sculpture. Any metal work repairs and making good as well as a fine sanding had already taken place. The next stage is to wash the sculpture down in water to remove any residue. 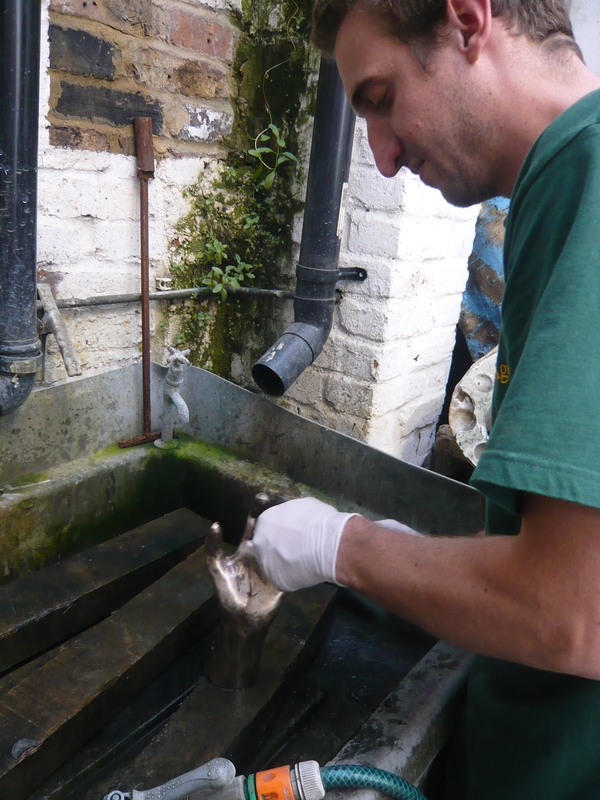 Then out comes the blow torch and on goes the first patination chemical – potassium sulphide (livers). Next is a bit of a rub down and wash again. 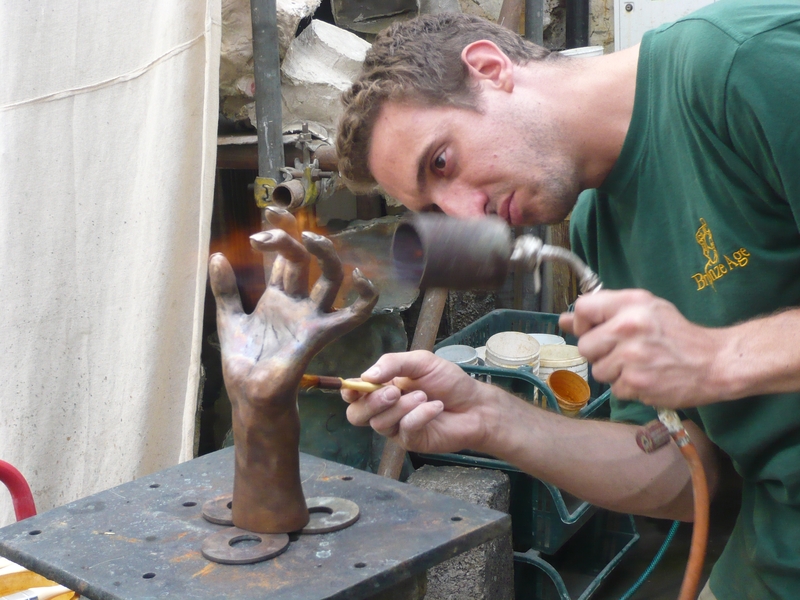 Next up in the patination process is iron nitrate (ferric) – not forgetting the blow torch of course! Derek did a great job. 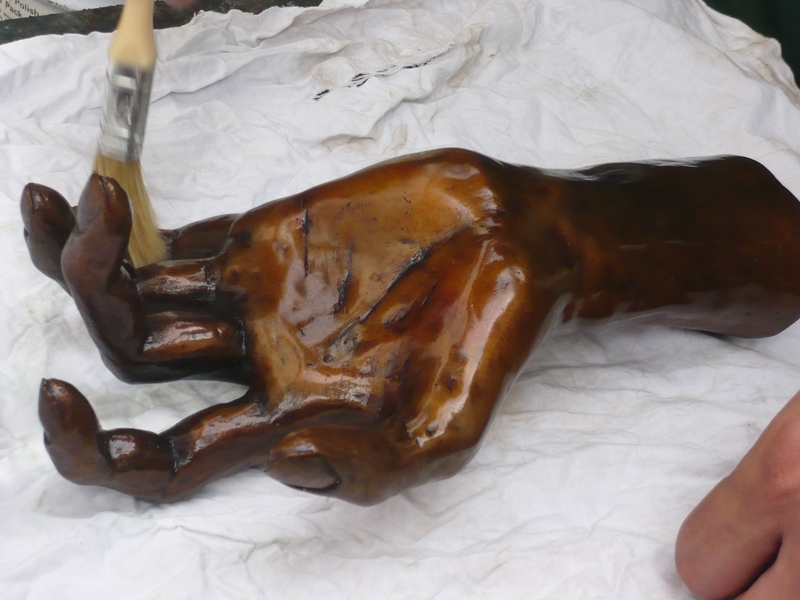 Then the final stage is applying clear wax – again using some heat but not as much as before. Just look at the depth of colour in the last of the pictures above – it’s the most gorgeous patination…. Then I was off to the client’s house to deliver the sculpture – she was so happy!